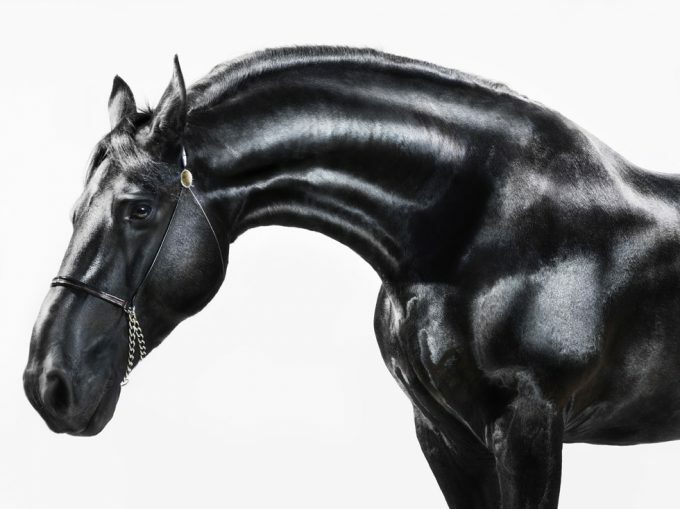 In ClampArt’s Project Room, a selection of Greenberg’s new portraits of horses will also be on display through August 19, 2011. 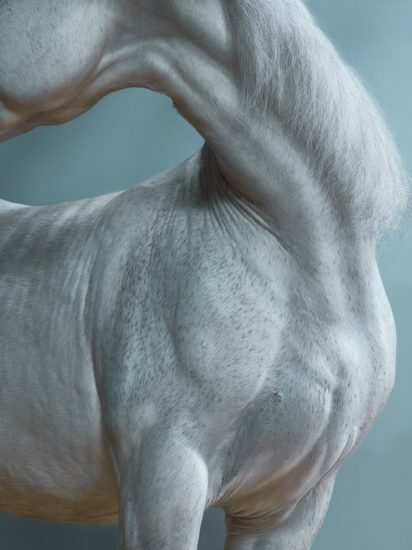 In a subtle turn away from the more direct portraiture of her monkey and bear portraits, Jill Greenberg presents here a selection of photographs of horses. 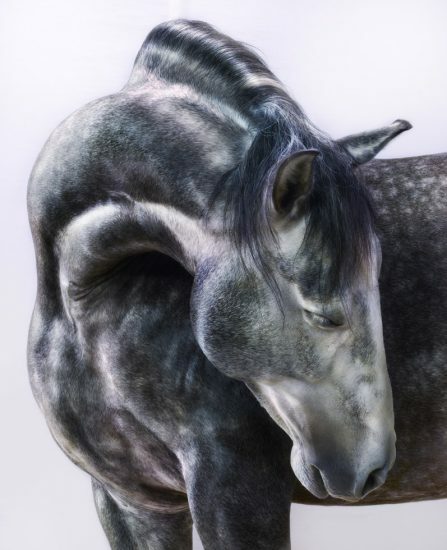 While the artist’s previous images of monkeys and bears proved extremely popular, she regards horses as her primal subject. As a young girl, Greenberg was preoccupied with horses for a time – – she drew them, painted, them, sculpted them, collected models, read about them, and got to ride them, too. Here she returns to her childhood interest, but with the more mature and knowing eye of an adult. 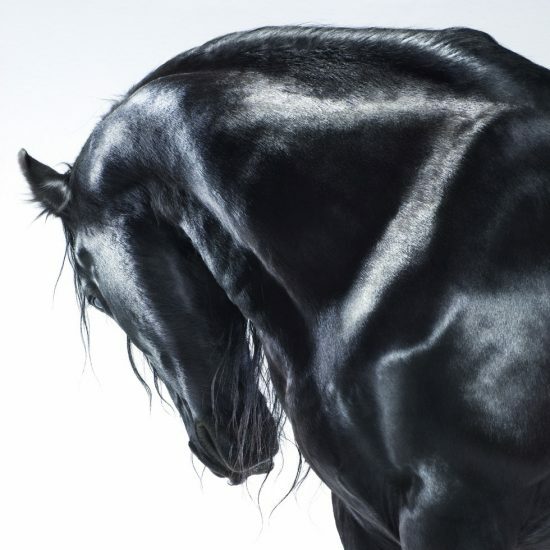 The photographs reflect the majesty and power of these beasts, in addition to their undeniable sexuality. 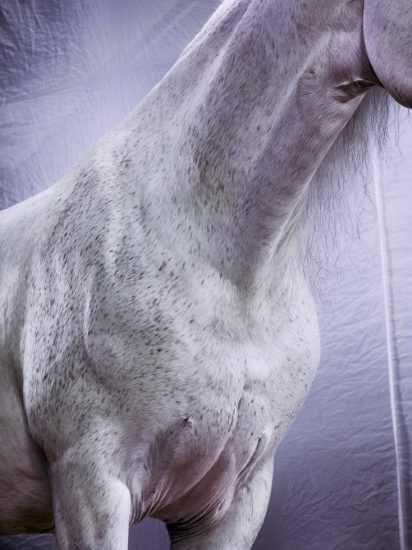 Jill Greenberg’s horses will be collected in a major monograph by Rizzoli to be published in the fall of 2012.